The battle between software manufacturers and hacking community is a never-ending one. Every security measure these software manufacturers adopt is eventually compromised or broken by the hacking community. Apart from the security measure breaches, the software manufacturers are also confronted with various security vulnerabilities (or security holes) their software might contain. This is another grey area the hacking community can successfully exploit. Now when it comes to software vulnerabilities, there are two kinds: known and the unknown. Known vulnerabilities are usually fixed by the respective software manufacturer in time before they are exploited. It is the unknown vulnerability which causes a lot of problems. What Is A Zero-Day Vulnerability? A zero-day vulnerability refers to a software vulnerability unknown to the manufacturer which if it comes to the notice of hackers can be successfully exploited by them. In other words, it is a security hole in a software which is discovered – and exploited – by the hacking community even before the developers (or the vendors) of the software become aware of it. This type of security threat can prove extremely fatal since the software developers themselves are not aware of the security vulnerability being exploited and therefore it could be weeks or months before the appropriate patch or fix is released to remedy the security vulnerability. Enough time for the hacking community to wreak havoc. It gets its name as ‘zero-day‘ vulnerability because the security vulnerability is ‘yet-to-be-discovered’ by the software manufacturer or vendor. (To be more precise, it’s been ‘zero days’ since the security vulnerability was discovered. Therefore ‘zero-day vulnerability!’). How To Recognize Zero-Day Exploits? Unfortunately recognizing zero-day exploits is not an easy task. But with the right kind of security software, you’ll be better equipped to handle such attacks. Therefore let’s take a look at the factors you should focus on in order to successfully counter these zero-day exploits. Detect Unknown Behavior: Zero-day exploits is all about dealing with the unknown. Therefore conventional methods are not going to work because signatures have not yet been identified. Therefore all your security tools can do is look out for and detect any abnormal behavior and bring it to the notice of administrators, so that they can take the appropriate action. Therefore automated anomalous or abnormal behavior detection is extremely crucial. Perform Real-time Monitoring: Zero-day exploits can carry on for days or weeks without being detected, affecting your network greatly. Therefore you need security tools which equip you with real-time monitoring capabilities. Because real-time monitoring can help you quickly discover any issues within your network. Quicky Respond To Incidents: Discovery of any abnormal activity will be of no use to your network if you don’t have an effective response system in place. Well-planned incident response measures, with defined roles and prioritization of mission-critical activities, are crucial to minimize the damage which may be caused by these zero-day exploits. How To Stay Protected From Zero-Day Exploits? Keep Your Operating System Updated: Older versions will pose unnecessary risks. Therefore always keep your operating systems up-to-date. Because an updated operating system will be an operating system which can at least minimize the chances of zero-day exploits affecting your system. Install Strong Antivirus Software: Not just any antivirus but an antivirus software which can protect you from known as well as unknown threats. Because zero-day exploits are essentially unknown threats. Simply put, your antivirus should know how to handle abnormal behavior. Keep Your Applications Updated: Next, comes what’s inside of your device. Never fail to update the various applications you may be using. At least try not to ignore software updates which are labeled ‘critical security release‘ or something similar. Because who knows the update may include a patch to recently discovered vulnerability. Use The Latest, Most Secure Browsers: Firefox, Chrome, Internet Explorer and other leading browsers all push for automatic updates on regular basis. Never ignore them. Because zero-day exploits could happen via unprotected browsers as well. How Can Comodo Prevent Zero-Day Exploits? 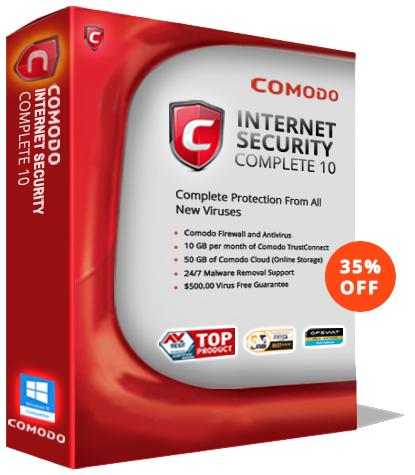 Comodo Antivirus: Comodo antivirus, which comes equipped with advanced features like automatic anomalous behavior detection, sandboxing technology, default deny protection, host intrusion prevention system (HIPS), efficient virus removal capabilities etc., makes it the perfect tool to safeguard your enterprise against zero-day exploits. Comodo Patch Management: Comodo patch management, which is a part of one.comodo group of products, can help enterprises efficient handle the implementation of various patches within your network. Regular patching is extremely crucial for handling zero-day exploits. And Comodo patch management can help you accomplish this easily. Comodo Dragon Browser: Comodo also offers a free dragon internet browser for safe browsing. While this may not be the most popular browser around it is certainly equipped with features which will improve your web security by a great deal. What is a Computer Virus and how do they work?